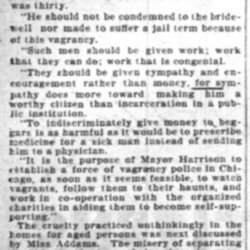 Wharton writes Addams for suggestions for candidates for a job opening at the Starr Centre. 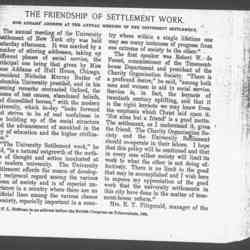 Addams' keynote speech at the University Settlement's annual meeting discusses the kind of settlements that build relationships and community. 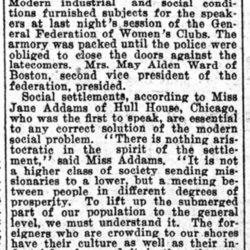 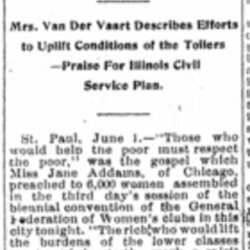 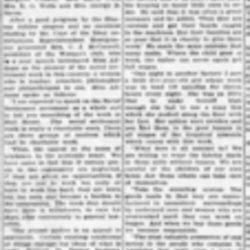 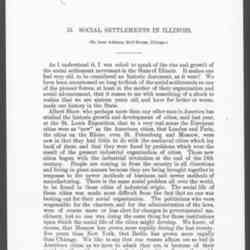 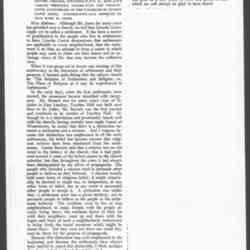 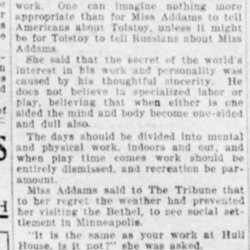 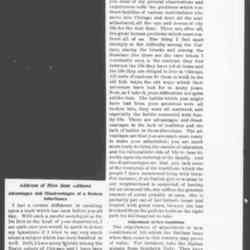 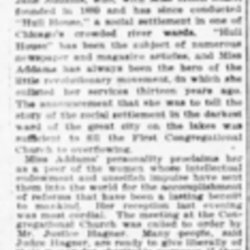 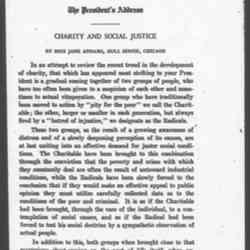 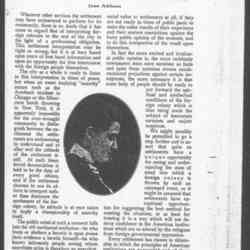 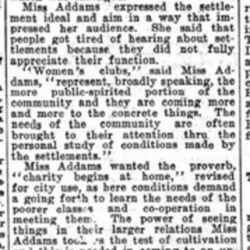 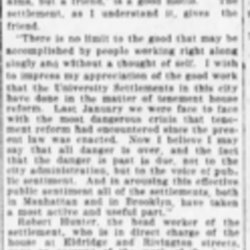 Newspaper summary of Addams' comments about the need to increase the work of settlements to meet need. 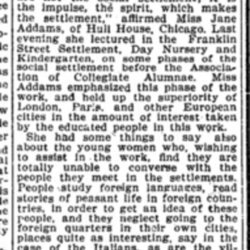 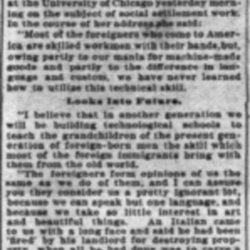 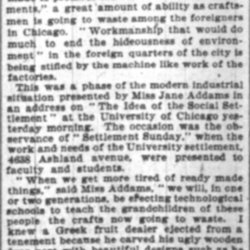 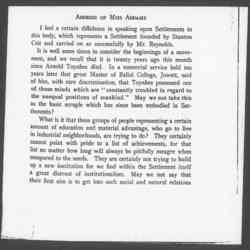 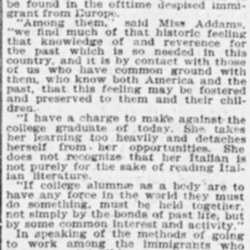 An excerpt of Addams' talk at "Settlement Sunday," held at the University of Chicago, discussing immigrants. 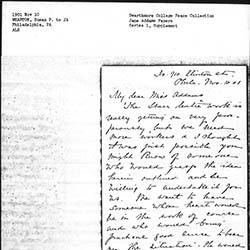 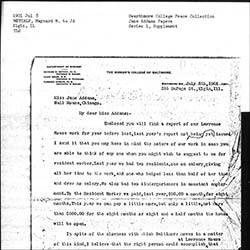 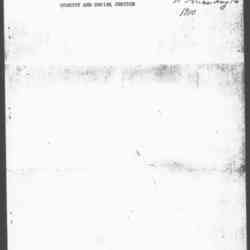 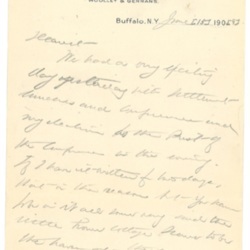 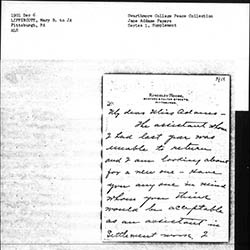 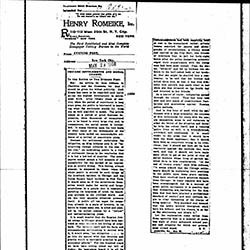 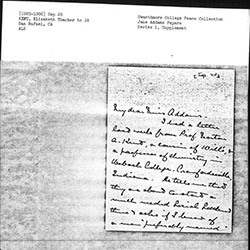 Kent asks Addams for suggestions of a man to run a new settlement planned in Crawfordsville, Indiana. 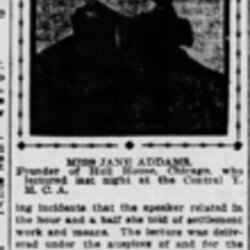 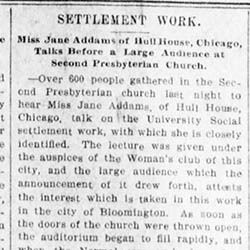 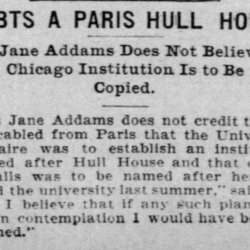 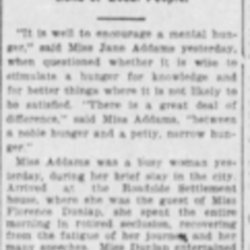 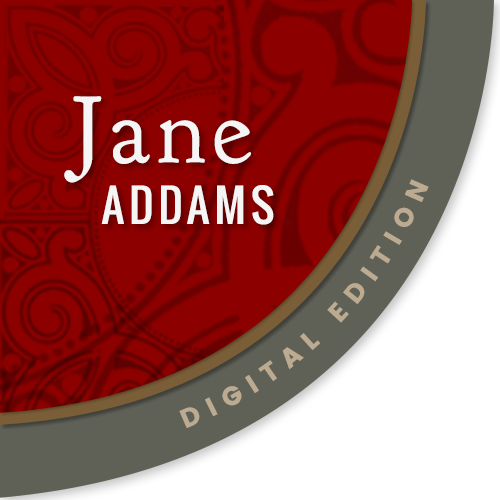 Addams speaks to the North Broadway Social Settlement about how she runs Hull-House.